Sometimes all it takes is a ‘strategic’ collaboration between opposing parties to unveil the literary brilliance of our ancestors. Well, in 2011, the fortuitous partnership was made between Sulaymaniyah Museum (situated in Slemani, in the Kurdistan region of Iraq) and an actual smuggler – and the result pertained to the acquisition of around 90 clay tablets. One $800 artifact among these precious specimens tickled the fancy of Farouk Al-Rawi, a professor at the University of London. And after analyzing this particular tablet, with the help of Andrew George – an expert in languages and translations, the Al-Rawi discovered that the object contained an unknown portion of a familiar story. And this story entails the Epic of Gilgamesh, which is widely believed to be the earliest surviving epic poem and probably humankind’s first achievement of a grand literary work. Interestingly enough, the Sulaymaniyah Museum had initially suggested the date of this purchased clay tablet to be from the Old Babylonian period (from 20th to 16th century BC). However, the reassessment by Al-Rawi and George, put forth the date of his object at 626-539 BC, thus corresponding to the Neo-Babylonian period. 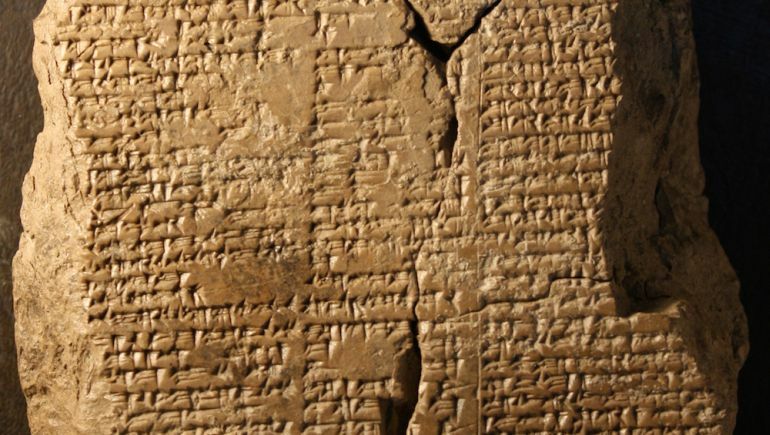 To that end, by this time period, it was probable that the tale of the Epic of Gilgamesh was intentionally broken down into different tablets (with slightly variant passages) for ease of distribution among the scribes and cultural officials of Babylonia. As for this particular tablet, the inscription upon it follows a familiar cuneiform script but comprises a previously unknown part of the epic. This unknown part encompasses around 20 lines that describe a scene where the hero Gilgamesh (who is also the king of Uruk) and Enkidu (a wild man created from clay and saliva of a goddess, and raised by animals) band together to travel to the Cedar Forest (the abode of Gods), and then combat the ogre Humbaba. These lines mostly pertain to the added description of the Cedar Forest – and interestingly, they are a far-cry from the heavenly abode of gods that are we are used to visualizing in ancient mythologies. In this case, the forest is not depicted as a serene and peaceful environment. Rather the prose goes on to represent how the ‘residing place’ of the gods was occasionally disturbed by noisy birds and troublesome monkeys. The previously available text made it clear that [Gilgamesh] and Enkidu knew, even before they killed Humbaba, that what they were doing would anger the cosmic forces that governed the world, chiefly the god Enlil. Their reaction after the event is now tinged with a hint of guilty conscience, when Enkidu remarks ruefully that … “we have reduced the forest [to] a wasteland”. Finally, for the historical side of affairs, as we mentioned before, the Epic of Gilgamesh is the oldest known epic in the world. And intriguingly enough, the literary history of the titular character Gilgamesh comes down to us from five Sumerian poems. On the other hand, the first iterations of the epic itself were possibly compiled in ‘Old Babylonian’ versions (circa 18th century BC). 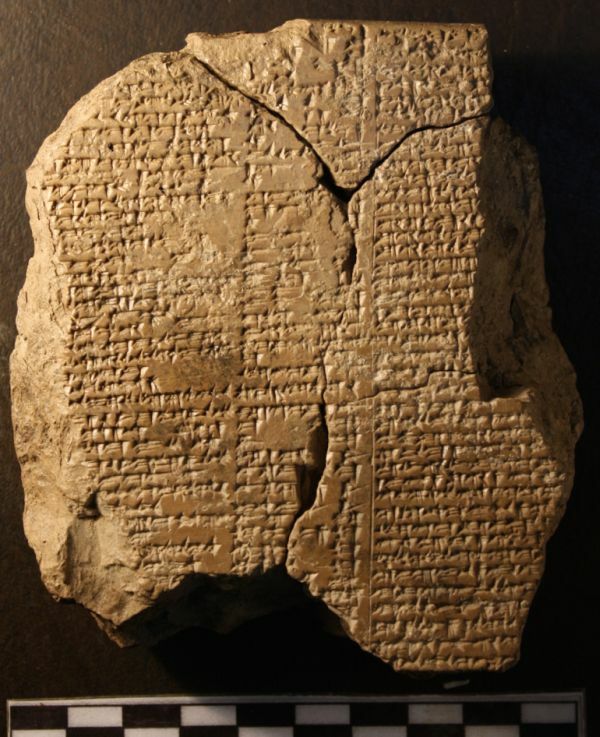 Simply put, while the provenance of these literary works is based on Sumerian language and literature, the end product/s (as available to common people) of the epic were possibly composed in Babylonian and related Akkadian – languages that were different from Sumerian, based on their Semitic origins. And lastly, since we are talking about origins, few ancient Mesopotamian bards and scholars might have still sung some of Gilgamesh’s heroic exploits in Sumerian. To that end, Canadian musician Peter Pringle has presented his version of the Epic of Gilgamesh in ancient Sumerian, with the video covering the opening lines of the epic poem. The study was published in the Journal of Cuneiform Studies, in 2014. One can also take a gander at the pdf version.